Includes all proprietary and consulting usage, regardless of institution. Complete the MRL Central Research Facility Use Proposal Electronic Form to generate and submit new proposal. We recommend that the principal user fill out and submit the proposal. It is strongly recommended that students review the information with their advisor prior to submitting the electronic form. Submission of the electronic form is required. Paper copies will not be accepted. Please do not use your browser's back button while filling out the electronic form as this may cause your submission to fail. Also, we suggest you use cut and paste from a local text editor to enter answers to questions in the proposal form. This will save you from re-typing the information in the unlikely event of an error in your submission. Please, follow the instructions carefully and provide the information as requested. For additional information on the proposal process or status contact the MRL Facilities staff. When received, the proposal will undergo an intitial review for completeness and then will be forwarded for more in-depth review by the MRL staff who have expertise in the techniques requested. If the project's goals are deemed feasible using the MRL facilities, it will be approved. The researcher will then be notified by email. Time required for the approval process varies and is typically 2-4 weeks; each proposal is unique and must be carefully evaluated. 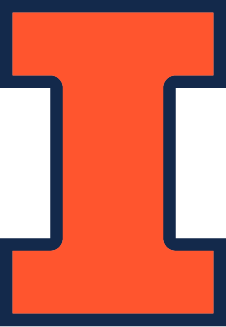 A University of Illinois Facilities Use Agreement and/or Technical Testing Agreement, which specifies the conditions for use, will be generated by us and sent to you to be signed by your institution. The agreement specifies the work to be performed and the applicable fees. When all the the documents are completed and on file we will issue user number(s) and you can begin using the facility. The researcher (s) will then be notified, and the visit can be scheduled. Contact facility staff for instrument availability and scheduling prior to making travel plans. Users need to familiarize themselves with the university health and safety regulations prior to using the facility. All users will be required to complete University of Illinois general laboratory safety training. In some cases additional safety training or required reading will be needed. In addition during, training instrument specific safety instructions will be given. What is the difference between a Technical Testing Agreement (TTA) and a Facilities Use Agreement (FUA)? A TTA is created and executed when MRL Staff have time and agree to perform work for an academic or business client (no user self-use is permitted). An FUA is created and executed to allow non-University of Illinois academic or business users use the facility (user self-use after training). How much can be spent under an agreement? The amount listed on the agreement is the limit to what can be spent under the term of the agreement (typically 3 years). The standard base amount for all TTAs and FUAs is $5,000, however this can be a higher amount or, in unusual instances, a lower amount. What happens when expenses reach the limit? Work must stop if the expenses reach the limit. An amendment to an agreement, which increases the budget, must be put in place before work can resume. How to people become users under a Facilities use Agreement? Users who are specifically listed within the agreement are issued their user IDs when the proposal is initially approved and processed. How does a new user, not listed on the original agreement, get to work at MRL? New users may be added to an existing project's agreement by request of the institution with the written permission of the Director of Research Facilities. A NEW (not change-of-scope) proposal must be submitted for one or more additional users to get their personal information into the database and to issue them a unique user ID.